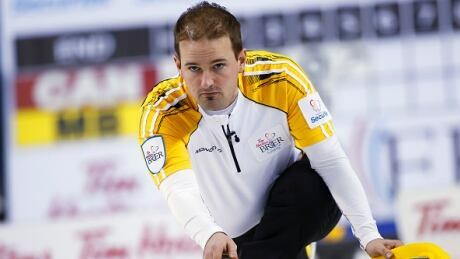 Reid Carruthers toppled Mike McEwen 4-3 on Saturday night in the semifinals at the seventh and final event of the Grand Slam season to set up a meeting with John Epping. Evan Silva unveils his 2016 Draft Grades for the NFC. 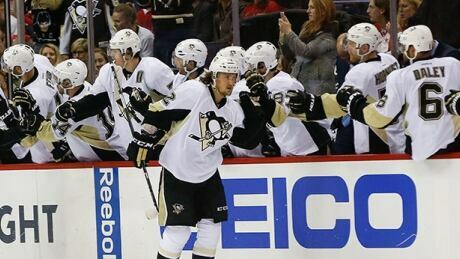 tkEric Fehr scored the tiebreaking goal against his former team with about 4 1/2 minutes remaining Saturday night, giving the Pittsburgh Penguins a 2-1 victory over the Washington Capitals that tied the Eastern Conference second-round playoff series at a game apiece. Terron Beckham is getting a chance to follow in his famous cousin's football footsteps. The New York Jets invited the running back, a distant relative of Giants star wide receiver Odell Beckham Jr., to attend their rookie minicamp next week on a tryout basis. Mike Celli, the agent for Terron Beckham, announced on Twitter on Saturday night - a few hours after the NFL draft concluded - that the Jets offered his client an opportunity. 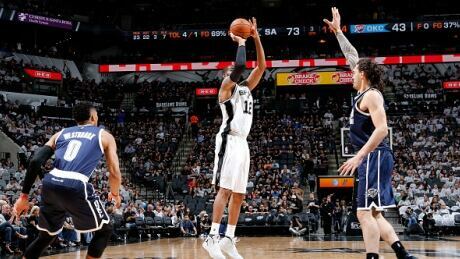 LaMarcus Aldridge had 38 points and the San Antonio Spurs dismantled the Oklahoma City Thunder 124-92 on Saturday night, never trailing in Game 1 of the second-round series. 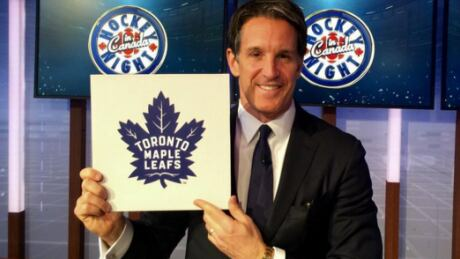 Leafs fans rejoice, when’s the last time you heard that? The Toronto Maple Leafs win the first overall draft pick in the NHL draft lottery and fans across the league react. Posted in Sports/Hockey/NHL | Comments Off on Leafs fans rejoice, when’s the last time you heard that? 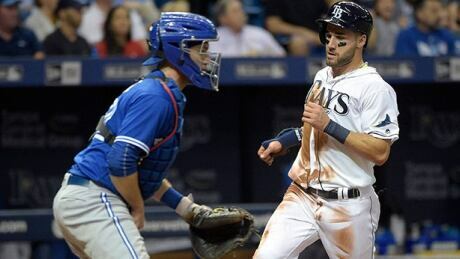 Curt Casali drove in the winning run with a single in the ninth inning Saturday night and the Tampa Bay Rays beat the Toronto Blue Jays 4-3. (The Sports Xchange) - One of the most dramatic drafts in NFL history wrapped up in Chicago on Saturday with the team that started the spectacle ahead of schedule by trading the No. 1 overall pick to the Los Angeles Rams two weeks earlier. Likely to be remembered for the social media fireworks and ensuing drama surrounding Mississippi offensive tackle Laremy Tunsil and his tumble to the middle of the first round, the 2016 NFL Draft ended with the Tennessee Titans announcing Mr. Irrelevant, Southern Miss cornerback Kalan Reed, as the 253rd and final pick. Cal quarterback Jared Goff was the No. 1 pick Thursday night and plans are for him to start early for the Los Angeles Rams. One of the most dramatic drafts in NFL history wrapped up in Chicago on Saturday with the team that started the spectacle ahead of schedule by trading the No. 1 overall pick to the Los Angeles Rams two weeks earlier. Likely to be remembered for the social media fireworks and ensuing drama surrounding Mississippi offensive tackle Laremy Tunsil and his tumble to the middle of the first round, the 2016 NFL Draft ended with the Tennessee Titans announcing Mr. Irrelevant, Southern Miss cornerback Kalan Reed, as the 253rd and final pick. Cal quarterback Jared Goff was the No. 1 pick Thursday night and plans are for him to start early for the Los Angeles Rams. 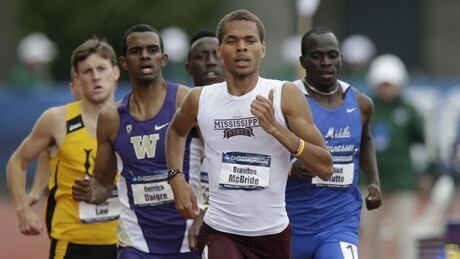 Brandon McBride ran himself into the sights of some of the world's top middle distance runners Saturday with a world-leading time in the 800 metres in Starkville, Miss. You are currently browsing the Sportspool.com Sports News blog archives for April, 2016.